Twitter is one of the Social networking giant which is familiar for its microblogging service. Twitter is better for celebrities to stay connected with their fans, for organizations to maintain the realationship with their customers and for peoples who are all willing to pass short messages to their friends. One of the advantage in Twitter is to follow and unfollow people is easy one than other social networking sites. We can follow and unfollow people with in seconds and there is no formalities like word verification. Also Twitter has another great service 'Verify account' in order to identify the original profiles and to follow. Let you know some interesting facts about Twitter that may be known or unknown. Twitter was founded on March 21, 2006 by Biz Stone, Evan Williams and Jack Dorsey. Twitter is publically announced in July 2006. 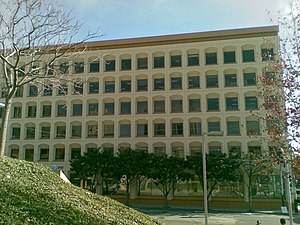 The Headquarters of Twitter Inc is located at San Francisco, California, U.S. The Twiiter status updates are limited upto 140 characters only. According to businessinsider Twitter handles 800 million search queries per day. Twitter has 190 million users and they tweet 65 million times a day. Twtter is ranked as one of the 50 most visited site worldwide by Alexa's web traffic. The Twitter web interface uses 'Ruby on Rails' framework. Total number of employers in Twitter Inc is just 141. Services available in Twitter are: Groups, Tagging, Lists, RSS and Atom Feeds. Recently a survey states that the number of true twitter users increasing in Twitter. Many interesting Facts about Twitter. I don't know many of these. Thanks for sharing. Excellent write up dude. It just unveiled some strange facts about twitter. Looking forward more like this. Thanks for sharing. I wanted to write an article about this one.